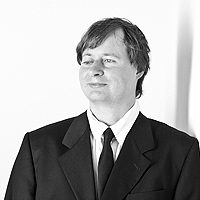 Dr. Jan Blüher, who earned his Ph.D. in computer science at the university of technology Dresden (Technische Universität Dresden), founded his software company visorApps in 2011. In addition to developing apps for his own company and carrying out contract work, he gives presentations, workshops, and provides consulting services to corporations and service providers. 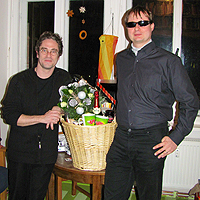 In March 2012, the Dresden startup launched its first app, ColorVisor, a color identifier for the iPhone. Due to his own blindness, Dr. Blüher has been studying extensively the technical possibilities of VoiceOver, the screen reading software that lets iPhones, iPads, and iPods speak and makes them accessible, since 2010. As this screen reading software is part of the iOS operating system, Apple’s devices are fully accessible to blind and low vision users. This inspired Dr. Blüher to design apps for iOS. He wanted to use all of its accessibility features to make his apps as easy to use as possible. In August 2015 an expert Android developer joined the visorApps team; we now also create accessible Android apps. Design for all – having always championed the principles of inclusive design, Dr. Blüher is now a sought-after expert on the development of accessible apps. visorApps offers accessibility consultancy services for the development of both iOS and Android apps. We have been able to assist various organisations in designing accessible products and improving the accessibility of existing apps. Although blind and low vision users are the target group of visorApps’ products, all of our apps are also designed with sighted users in mind. To ensure his apps are not only accessible but also visually appealing, Dr. Blüher closely collaborates with graphic designer Torsten Becker, who creates engaging graphics and animations for the user interfaces of visorApps’ products. This website has been created and designed by the web agency Heike Ohnesorge.